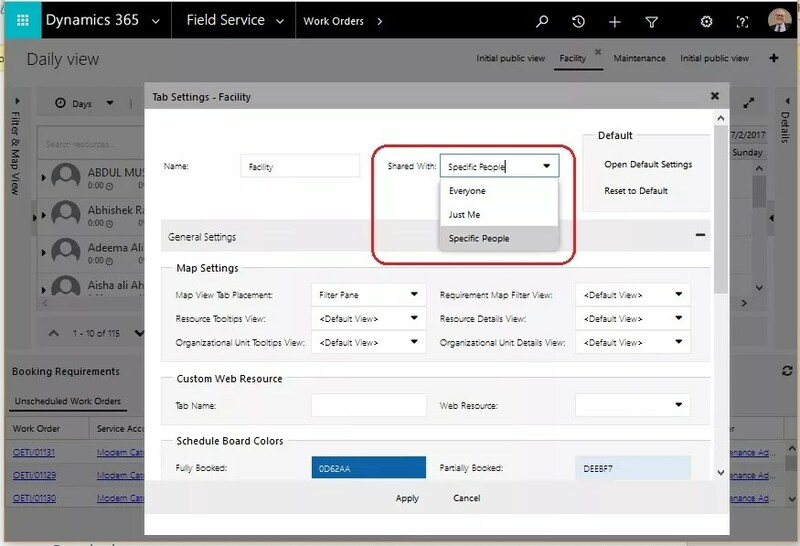 Latest Field Service Solution of D365. 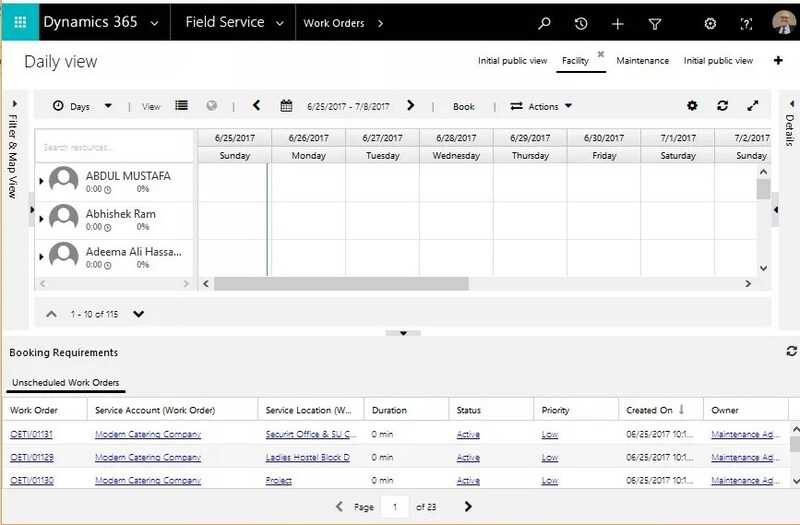 Open Schedule Board, Field Service -> Schedule Board. 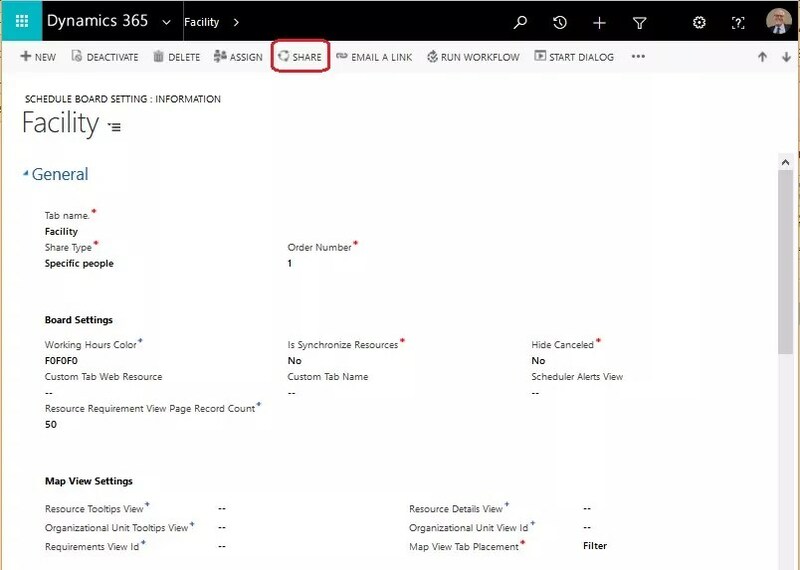 Open a specific Tab Setting on Schedule Board for e.g. 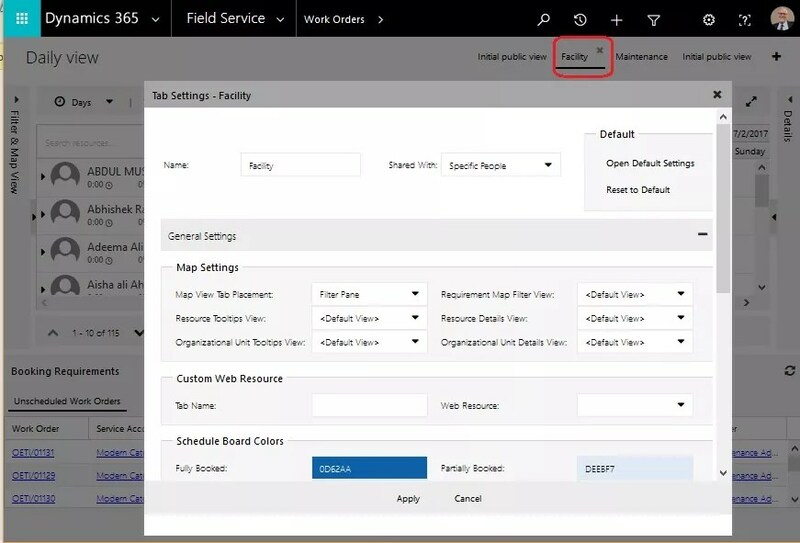 Facility as highlighted below. 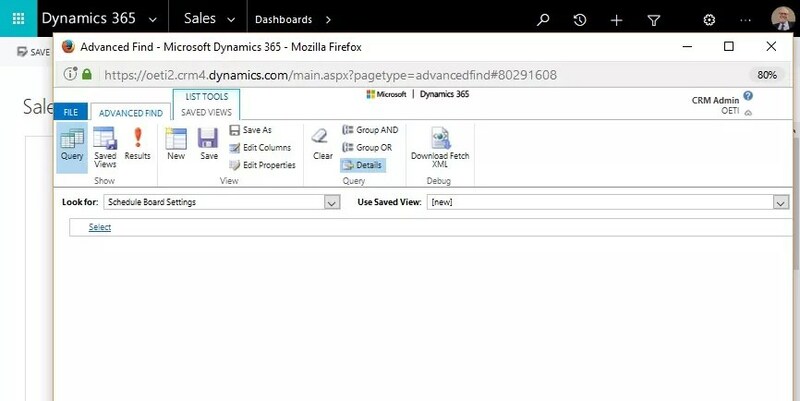 Click on field “Shared With” dropdown. Everyone – Schedule Board is shared with all Users. Just Me – Schedule Board is shared with Login User Only. Specific People – Schedule Board is shared with Specific People. 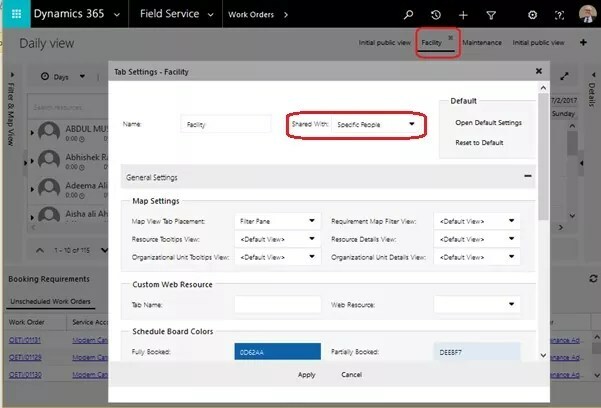 Select “Specific People” option in Shared With field of Tab Setting on Schedule Board. 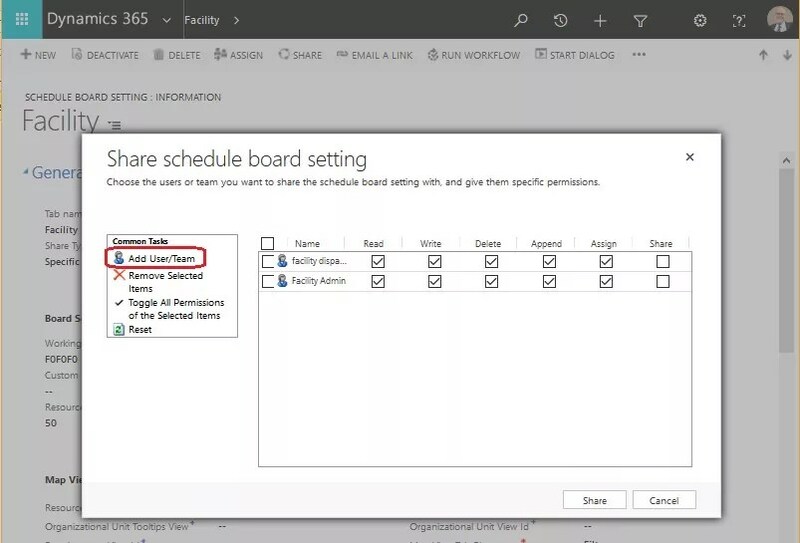 Open “Schedule Board Settings” entity records from Advanced Find. Open Schedule Board of Specific People record from the results. 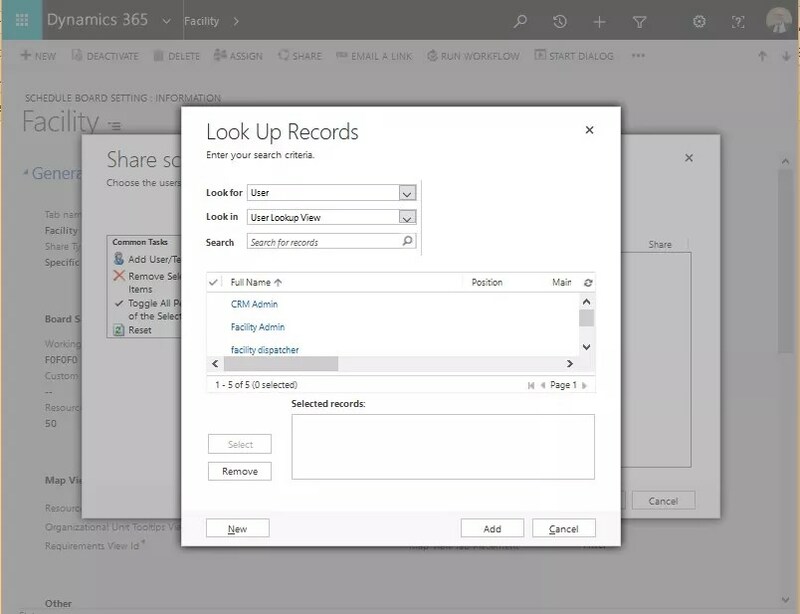 Click on “Share” button in ribbon. Add new User by Clicking on “Add User/Team” option and provide privileges as per need. 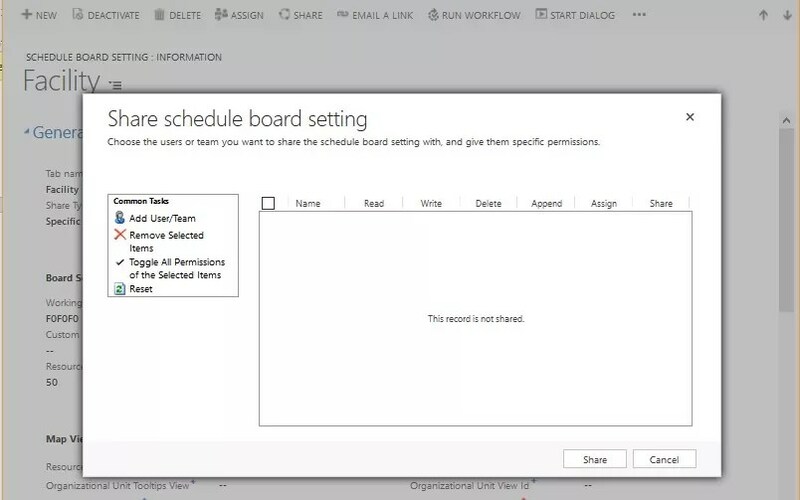 This blog explains the options to share Schedule Board and, also how a Schedule Board can be shared with specific Users only.